The Gem of Amara was first introduced in Buffy the Vampire Slayer as a MacGuffin that Spike wanted to make himself stronger. Any vampire wearing it gains immunity to normal vampiric weaknesses like crosses, stakes, and holy water. It’s unclear if the gem makes its wearer immune to decapitation, but at least one character claims that any vampire wearing the gem is impossible to kill. Even more important, the gem allows its wearer to walk in full sunlight. This was all fine on Buffy, when the gem just made villains more dangerous. 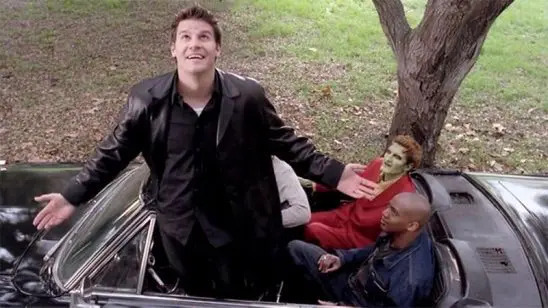 But then someone remembered that Buffy has a vampire friend: Angel. * That’s when the gem became a problem. Despite Spike trying (again) to claim the gem for himself, Angel ends up with it. But instead of keeping it, he smashes it with a brick, because being able to go outside during the day would somehow make him forget the people he’s supposed to protect. What? How’s that supposed to work? Buffy can walk around in the sun, and she’s somehow managed to do her job. With the ring in his possession, Angel could protect more people. He could chase a demon after it steps outside, and he wouldn’t be one sharp piece of wood away from death. The real reason Angel breaks the gem is that the writers didn’t want him to withstand the sun, but that’s hardly a satisfying reason. The solution is simple: give the gem a serious drawback, preferably something that works with Angel’s vampiric nature. Perhaps the gem increases its wearer’s bloodlust the longer it’s worn. That’s not something an evil vampire would care about, but it would be a serious problem for Angel. That way, Angel could keep the gem for an emergency. It would be a constant temptation for him, and the writers love tempting Angel. Even in the 24th century, you need to see what you’re shooting. Or at least, you did, until Deep Space Nine unveiled the TR-116 rifle, a gun that can shoot through walls. Technically, this is a science-based item, not a magic one, but we all know that most of the tech on Star Trek is magic dressed up in tachyons and antiprotons. The TR-116 is actually two magic devices in one. First, it has a transporter that can materialize bullets anywhere the shooter likes. This is obviously useful, as enemies have an annoying habit of hiding behind things when the shooting starts. Second, the rifle comes with an eyepiece that lets the shooter see through solid objects. This incredibly powerful combo should revolutionize Federation military tactics, but instead we’re told that Starfleet decided the weapon wasn’t practical and abandoned it. Huuuuuh. Shooting through walls feels pretty practical to me. Keep in mind that this is during the Dominion War, the most brutal conflict the Federation has ever faced. Heck, just the eyepiece would be a huge benefit. But that kind of fighting is difficult to film, so the TR-116 only appears long enough for a Vulcan serial killer to murder a few people with it, and then it is never seen again. Working within Star Trek’s filming budget, there’s probably no way for the TR-116 to function as originally presented. A fight where Starfleet just beams a load of bullets behind the enemy wouldn’t be fun to watch. Instead, the easiest solution is to change the TR-116 into an extension of existing technology. All the episode needed was for a murderer to kill their victims without being in the same room with them. Rather than a fancy new gun, the killer could have used the existing transporter system to beam away some small but vital part of the body and then let the victims bleed out. The characters could then have explained that this was only possible because the killer hacked the victims’ communicators, using them as a homing signal. This isn’t something most enemies could do, so viewers wouldn’t wonder why the tactic isn’t used again. Bioshock is a horror game of desperate survival in an underwater city, at least until you discover that death has no power over your character. 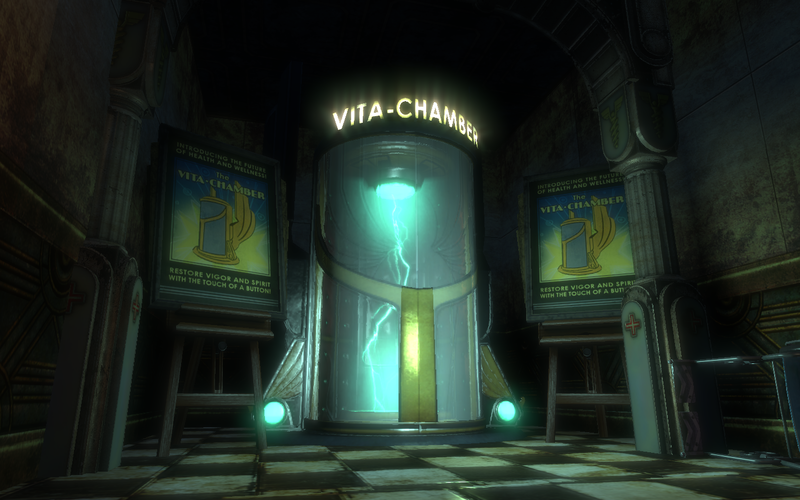 You see, the city of Rapture is filled with these strange things called “vita-chambers.” To most people, they are used to restore health and vigor, but they will literally bring your character back to life because of some backstory shenanigans. Your enemies do not respawn in this manner. This means it’s a perfectly viable strategy to charge blindly at every enemy you see, because you’re not at any risk. This degrades the gameplay. You no longer have incentive to be careful or creative, because you can just apply brute force every time. But that’s nothing compared to what it does to the story. Instead of a gripping drama about the failure of objectivism beneath the waves, Bioshock instead becomes a slapstick comedy about one man taking on a whole city with his wrench. All fear and tension vanishes, and it strains credibility that enemies keep attacking your character. You’d think they’d learn after the fifth or sixth time a vita-chamber spits you out. The ideal solution would have been for the vita-chambers to cost some kind of resource. There are advanced options where each time your character dies, you lose money, but those aren’t enough on their own. For one thing, the game is balanced with the assumption that players will be making free use of vita-chambers. Simply taking that away makes the game far too difficult for many players. It’s also hard to explain in the story. How does the vita-chamber take your money after you die? If the vita-chambers were something you had to pay for ahead of time, that would have added to the game’s tense atmosphere. You know a big fight is coming; do you buy more bullets or an insurance policy? In Supernatural, the world is full of terrifying monsters. The most dangerous of these monsters* is the demon. Demons are incredibly strong, nearly impossible to kill, and can completely blend in by possessing an innocent human. Hunters in this setting are just ordinary humans, so fighting demons is extremely difficult, unless of course the hunters have a devil’s trap. 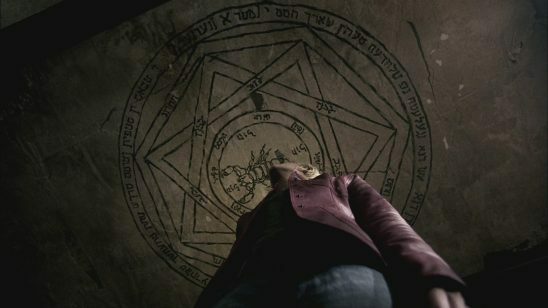 A devil’s trap is a pentagram with some runes drawn inside it. Like the name suggests, such a trap prevents demonic entities from leaving the pentagram, or damaging it in any way. This is a powerful tool for hunters, so naturally it must be hard to make, right? Nope, anyone can draw a devil’s trap on any material. This raises some serious questions. Why don’t hunters have devil’s traps everywhere? Spray-paint them on sidewalks, get them printed on rollout mats, start a line of novelty t-shirts. Anyone caught in the trap is revealed to be a demon, and they’re helpless as the hunters break out their exorcism ritual. But it gets better! 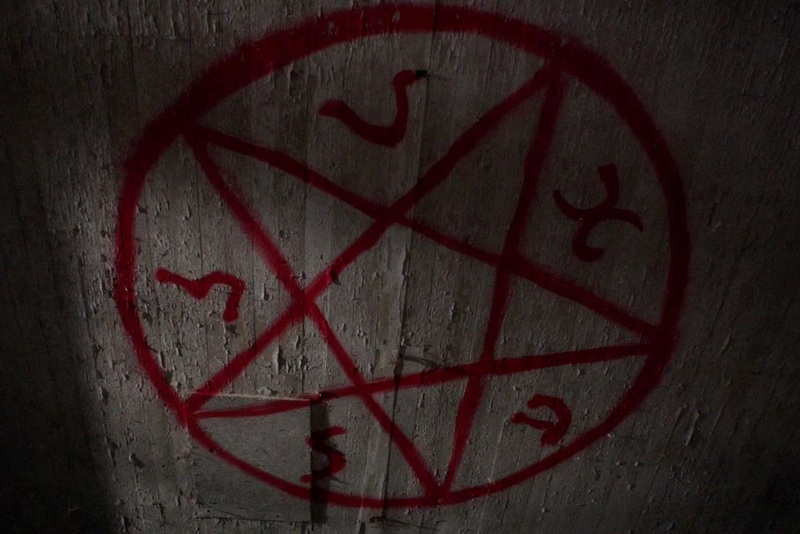 In one episode, it’s shown that devil’s traps can be inscribed on bullets, which then paralyze any demon they hit. For some reason, hunters only do this once and then never mention it again. First, devil’s traps have no place on bullets. That’s just silly. Second, devil’s traps should be hard to make. An imperfect devil’s trap will only hold a demon for a limited time. That way, drawing devil’s traps would be a skill in its own right. For that matter, different traps might be needed for different types of demons. Or the trap might need to be inscribed with the demon’s true name. That’s appropriately thematic and would allow the characters to have an edge over demonic foes they’ve vanquished in the past. In the first book, this isn’t a problem because Lyra is still learning how to use it. The alethiometer gives its answers by pointing at a number of symbols, and decoding the meaning is no easy task. In fact, learning to use the alethiometer is an important part of Lyra’s arc, and she becomes completely fluent in it near the first story’s climax. But what about the later books? For most of book two, Lyra has the alethiometer but neglects to use it. At one point, her best friend has a wound that’s slowly killing him, and no one knows how to heal it. Lyra could have just asked the alethiometer, but for some reason she doesn’t. Nor does she ask what kind of opposition they might face or where her missing allies are. 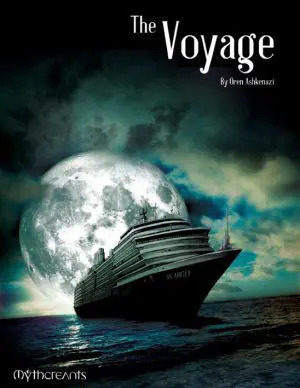 Most bizarrely, her objective in book two is to learn about the mysterious particles known as “dust,” and she goes trekking across multiple worlds rather than just asking the alethiometer. No in-character reason is given to explain Lyra’s behavior. The real reason is that the book would be boring if Lyra solved all mysteries by asking the alethiometer, which is why it’s a bad idea to give your protagonist an endless source of knowledge. In the first book, Lyra couldn’t just ask the alethiometer a question and get an answer; she had to interpret what the symbols meant. This was a pretty effective limit. Simple questions like “which building are the bad guys hiding in” would be easy, but more complex ones like “how do I defeat the bad guys” could be very difficult to interpret. Barring that, if the alethiometer exacted some kind of cost for using it, that would go a long way. It’s already in the book that Lyra needs to concentrate hard in order to ask questions and figure out the answer; what if extended use gave her painful headaches? That would let her use it occasionally, but constantly asking questions would be a no-no. Magic items are cool and shiny. They can add a lot to your story, but they can also break it. Readers are clever, and they’ll notice if you try to sweep the implications of an item under the rug. 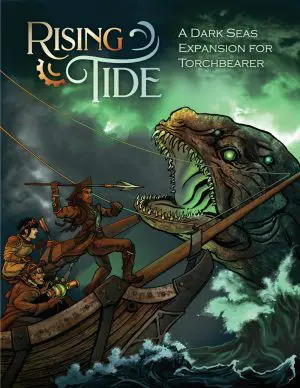 So take the lesson of these items to heart: don’t introduce a new magic item until you’re sure the story can handle it. If you folks know of others, let me know in the comments! Vampire friend with benefits, that is. At least for the first few seasons. Hence the title of the first book. I’ve found that a specific limit or cost is usually a good idea to make sure some kind of device (even a story device like being able to go berserk at will) isn’t overused or makes the hero too powerful. I’d say the best solution in many cases might be a mixture of both: using the device comes with a cost which has to be paid beforehand (or consequences to face afterwards) and there’s a limit to how often or how long you can use the device. #1: the blood thirst is good because it can be seen both as a cost (the gem ‘eats away’ on the wearer’s blood resources) and a limit (how much of a risk to become ruled by your blood thirst are you going to take). A villain, who freely feeds on humans anyway, wouldn’t care much about it, a hero like Angel will. #2: exchanging the rifle for a similar technology (as being able to control the transporter that precisely that you can make organs disappear) is a good idea, but when it comes to costs and limits: perhaps the gun or the eye piece need something very rare or hard to find? Something which, for a reason, can’t be replicated, either. Or the gun needs a specific ammunition which is hard to get? Limiting resources would work well in this case. Or making the gun alien technology which the federation can’t replicate – then there’s only as many of those guns as can be found, if they run out of ammor or energy or go broke, that’s that. #3: if you want to keep the vita-chamber, the idea of having to pay beforehand (so the chamber can then reconstruct your body, you might also have to step inside once) is a good one. Another one could be that the last few enemies you defeated are also revived in the process, so you can’t just blindly run into the fray and know that even if you need to be revived after each enemy, it will be worth it. A limit of the use won’t be a good idea in a game, though. That can quickly create frustration for the player. #4: making it necessary for devil traps to be placed on specific materials or with the help of specific materials (blessed chalk, anyone?) would already make them harder to use. Making it a skill that really has to be acquired or making the trap symbols more difficult (harder to get right, takes longer to draw), would also be a good idea. Fighting demons should be hard by definition already. I also like the idea that the demon’s name, possibly in some ancient language, also has to be added to the trap. #5: I think in this case the author realized that the device was just too strong not to break the story. A solution would have been ot either give it a price to pay (which might have broken the first book, though) or to take it away completely. Taking away the ‘training wheels’ at the end of the first book and thus making it obvious that the hero could no longer use it. Sometimes a device has to be removed completely, there’s no way around it. 1. If they wanted to keep the image of Angel smashing the ring, the easiest solution would be that in the short time it’s been on the shows, vampires have had a terrible record when it comes to having the thing stolen right off their fingers. Angel is the type who’d rather destroy the ring than risk another vampire getting it. If they wanted to keep the image of him simply not wanting to wear it, then don’t have him put it on at all, because he can’t be 100% sure that “cure my Gypsy curse” won’t be among the immunities it grants him. 2. They could make the “gun” impractically large – an artillery piece rather than a hand-held weapon. That would make it more useful for the kinds of mission that are carried out by unnamed characters off stage. 4. Another possibility might be that it needs part of the demon’s current host mixed in with the ingredients. That would imply a trap the demon could escape by leaving the host, but that’s risky for them. Or, since demons in this setting are essentially ghosts, maybe the trap has to include something from their mortal life. Regarding the time turner from Harry Potter, at least in the film, they seemed to be unable to change events that happened in the past, so preventing Riddle from becoming Voldemort wouldn’t be an option. Any amount of reconaissance might be, though. About HP and the time turners … from what I’ve heard about those, you can’t go back further than to the time the turner was made, so should the turner be a new invention, there simply might not be any around which could take someone far enough back. Harry Potter and the Cursed Child shows that this isn’t the case. The time turner in the play/book is a relatively new creation (it was commissioned at some point recently) but it takes the characters all the way back to Harry’s own time at Hogwarts. Yes, but before that one, it was at least canon for people writing FF … Rowling never really addressed the limits herself. What happens in FF doesn’t count anywhere or anywhen for canon – just because FF writers *treat* it as canon, doesn’t make it such. Ever. Especially since the limits were addressed by Rowling in Pottermore long ago. It was the last information on time turners I had, so I added it to the thread. If it has been changed now, than the theory does no longer work, of course. Editor’s Note: I’ve deleted a comment here for personal attacks on another commenter. It’s fine to disagree passionately about something, but attacking someone else is not allowed. In fairness to the Star Trek example, transporters are extremely unreliable, and this one has such a weak signal that it was impossible to trace. These will undoubtedly be all but useless against the sorts of things that stop starship based transporters like unusual alloys and electronic interference. Phasers may occasionally fail, but they are at least more reliable than transporters, and the times that transporters fail are the times one would most need a weapon. Something else odd about this sniper rifle is that no one ever admits that its most likely true purpose is assassination, which is probably the real reason the Federation never used it. No battle rifle would ever be designed with a short magazine and low velocity bullets. Though this also reminds me of the other problem with the lack of kinetic weapons in Star Trek, that they would undoubtedly be more effective against the Borg due to the fact that kinetic weapons would still transfer their momentum regardless of whether the shields absorb the impact or not. I don’t recall the story (possibly by Anthony Boucher), but it concerns a thug who manages to kill a local wizard. Amongst the wizard’s belongings, he finds a magical book. The cover of the book displays a number; turning to that page reveals the solution for whatever predicament the book’s owner is in at the moment. It works for a while, offering life-saving advice in the form of little aphorisms that always manage to apply. Sounds like a Fighting Fantasy book to me. And that does make sense in context: sometimes there just ISN’T a solution. In my opinion, all magic should have rules (for what you can do and how) and costs (to learn it and to wield it). I also like explanations. How can the alethiometer answer every question? Is it a phone to God?!? If the magic has logical reasons (be it numerology, forest spirits, mana or nanobots), costs and limitations will usually present themselves naturally. Funnily enough, the alethiometer is eventually revealed to be just that. Not actual “God” of course, because in this universe God is evil and senile, but to “Dust,” which is basically God, in that it’s all knowing. Even worse than Bioshock’s Vita-Chambers are the similar New-U stations in Borderlands 2. Not so much in 1 or the Pre-Sequel, because of the biggest reason they break the story in 2: Your enemy is Handsome Jack, CEO of Hyperion. New-U stations are owned and operated by Hyperion. The primary guy who is trying to kill you is literally in charge of the things that keep bringing you back to life. Of course, he’s ALSO a rather impressively-insane narcissist, so most folk accept that he wants your death to be more ‘important’ than randomly dying to one of the many horrible things on Pandora, and he’s making money off it every time you get rebuilt, too.